Posted January 22nd, 2017 by Mike Boyes & filed under Industrial Organizational Psychlology, Industrial Organizational Psychology, Motivation-Emotion, Persuasion, Research Methods, Research Methods in ADA, Research Methods in SP, Social Perception, Social Psychology, Social Psychology. 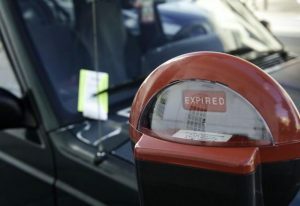 Description: It may not seem like a big deal or much of a surprise to hear that a lot of people do not pay the parking tickets they are given. Why should we care about this? Well in terms of direct self-interest and no matter how you feel about it, tickets are a revenue stream for towns and cities that typically do not have a lot of control over their revenue sources but for the people not paying the tickets there are the additional costs of late payment fees and, in many jurisdictions, the eventual hand-off off the fine to a 3rd party collection agencies resulting in a credit record hit and a potentially annoying and even nasty array of contacts. The typical approach to parking fine collection is to send out two reminders at about a week and then 2 to 3 weeks after the ticket’s payment due date reminding people to pay the fines. What might social and behavioral psychologists suggest as ways to increase the payment rates? Assume they will NOT suggest hunting down the delinquent ticket holders. What might be effective? Think about what you know about social psychology and then think about how that might be helpful in terms of how fine payment reminder letters are put together? Source: Pay Up: The Trick to Getting People to Pay Parking Tickets, Research Topics, Association for Psychological Science. There are two things to consider in thinking about this issue and in deciding what to try. The first is to decide what to try and the second is to make sure that the trial is set up in a way that will provide clear data as to whether it worked and if it worked how well it worked. The studies discussed in the article both included a salient “PAY NOW” stamp on the envelope of ticket payments reminder letters while the second study discussed also added a social norm statement in the letter itself. Social norm statements provide the reader with information about what “most people” do. These sorts of statements have been shown in social psychological studies to have an impact on behaviour. For example new undergraduate students were asked how much (alcohol) they drank every week and how much they think “most” other students drink. Students who report a moderate to high level of drinking were then provided with real data indicating that “most students” drink less than the students thought “most students did” AND significantly less than the students reported of themselves. The results were significant reductions in the amount of alcohol consumed by students in the study over the following term. In the second ticket payment study a statement that most people pay their tickets within 13 days (true) was added in addition to the PAY NOW stamp. In both cases a random assignment process was used so that half of the delinquent ticket holders received the old reminder letters while half received the new “behavioral science crafted” letters. Random assignment makes it possible to say with confidence that any differences in response rates were caused by the differences in the letters sent. So this means that we can say that the PAY NOW stamp accounted for a 3% increase in fine payment while the stamp along with the social comparison statement lead to 10% increase in payment rates. Two steps in the right direction, but, of course, there is ample room for more research! What changes did the social/behavioral researchers suggest in the effort to increase fine payment rates? How did they compare to your possible suggestions? From a Social Psychological perspective why might the changes tried by the researchers have produced the differences in payment rates that they did? Why would it important for cities and towns to include a random assignment trial of ANY changes they try in fine payment requests ? Service, O. Et Al (2016) EAST: Four simple ways to apply behavioural insights, http://38r8om2xjhhl25mw24492dir.wpengine.netdna-cdn.com/wp-content/uploads/2015/07/BIT-Publication-EAST_FA_WEB.pdf Accessed January 22, 2017.